With Sheffield Vegan Beer Fest only a week away, we are starting to knuckle down and fine tune the details for the day. 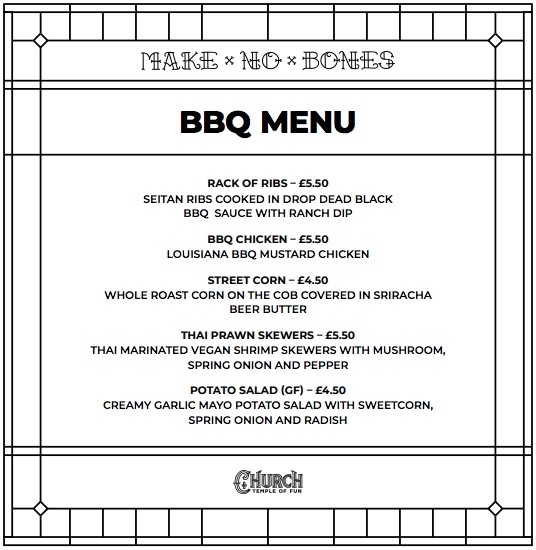 One of our food traders for the August 18 event is the legendary Make No Bones. Check out this phenomenal one-day-only menu they have planned for our event. You can follow Make No Bones on Instagram and click here to buy your cheap advance tickets for Sheffield Vegan Beer Fest. Keep watching for other food and drink updates for the event over the coming days.